In mission-driven work, it’s important but incredibly challenging to measure impact. Do you focus on the specific measures that can be quantified in the short term and directly attributed? Or do you identify longer-term, systemic impacts that are more difficult to quantify? As there aren’t commonly agreed-upon answers to these questions, measurement tends to focus on specific project outcomes and intended impacts. BSR evaluates our project work, publishes case studies, and releases research. Yet, at our core, BSR is a membership organization, and it’s much harder to articulate the direct impacts of our membership. Even without numbers that explicitly “prove it,” I believe that our membership model enables BSR’s impact overall to be exponentially scaled at a global level. Why? 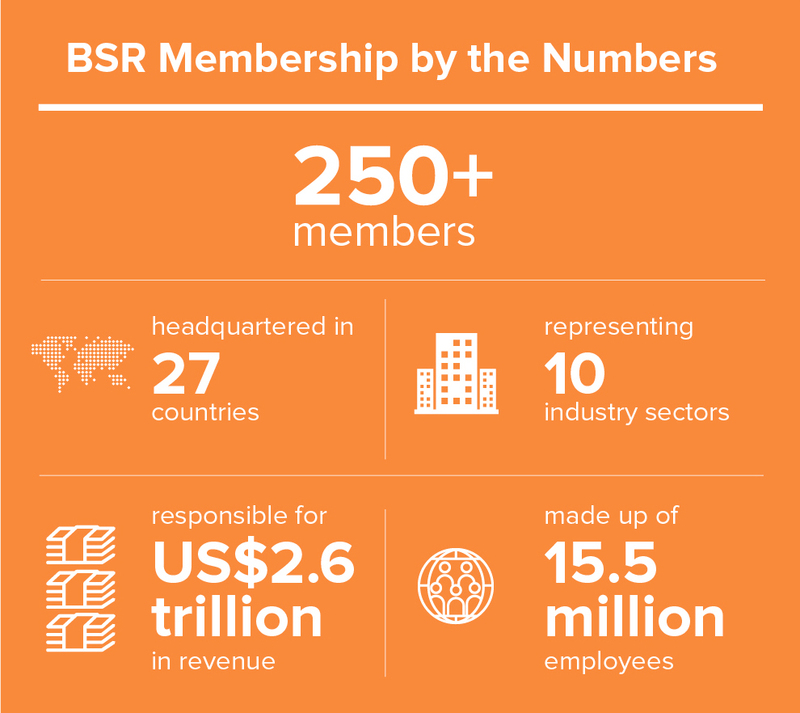 BSR has more than 250 member companies in nearly 30 countries spanning 10 industry sectors. These members represent more than US$2.6 trillion in revenue and more than 15 million employees worldwide. They are some of the world’s largest and most influential companies and constitute nearly 20 percent of the top 50 companies in the Forbes Global 2000. Because of this, some of the changes we help inspire reach people all over the world: For example, I love pointing out that helping a giant global food company change one policy on how they purchase one ingredient could have a larger impact on more peoples’ lives than working individually with more than 100 small organic food companies. The reach and diversity of this membership means that BSR’s activities and insights are spread across these organizations and their broader value chains. By sharing knowledge, best practices, and new ideas, BSR’s impact is amplified well beyond one-to-one engagements, across sectors and regions. For example, when we worked with telecommunications firm Telia Company to integrate human rights into its business decision-making, we shared the process and broad learnings so that other companies can learn from it. Another recent example is the Playbook for Sustainable Business in the United States, which we published this fall. We engaged our members to shape the ideas in the playbook, and we then discussed these recommendations at our recent annual Conference. It is our hope that the dissemination of this Playbook will help sustainable business leaders succeed in the current U.S. economic and political context—both as individual businesses and in collaboration with each other and stakeholders. With less than 130 staff around the globe, BSR cannot do individual projects with every member on every major sustainability issue. We must rely on the amplification of impacts through our membership if we’re going to achieve our ambitious mission. When we help a company devise a new climate strategy for its supply chain, the program that results is likely to impact not only that company, but also its suppliers and industry peers. When we work to help integrate human rights into business decision-making, we are hoping to shift industry practices toward a new normal. Membership impacts are also multidirectional. Our impact is maximized because our relationships further help to inform our research and grant-funded activities to ensure that our insights and recommendations are relevant to and build on global businesses’ practices or challenges. 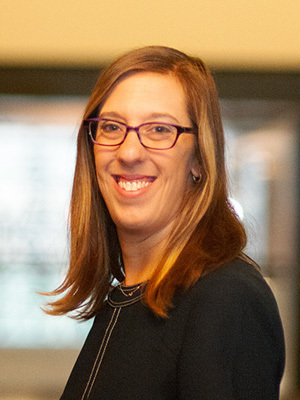 This means that when we receive support from the Dutch Ministry of Foreign Affairs to develop Gender Equality in Codes of Conduct Guidance, for example, we base our work on our decades of experience working with companies, and we engage our members to further inform and refine our recommendations. Our recent Marketer’s Guide to Behavior Change also illustrates this: It shares the perspectives of a small group of members—AT&T, eBay, Johnson & Johnson Consumer Inc., McDonald’s, and Walmart—to show how companies can trigger behavioral shifts that enable more sustainable lifestyles, grow demand for more sustainable products, and create business value. When we create something like this, it is our hope that our member companies can then share this tool with their marketing teams, who may use the techniques and inspire other companies to do the same. Thus, an engagement with five companies has the potential to change marketing practices at hundreds! Finally, our membership provides built-in networks that enable BSR to address systemic challenges that require a collective business response. When we see an opportunity to convene companies on a topic like the use of renewable energy to power data centers or the future of sustainable fuel, we begin by reaching out to those of our member companies that have expressed an interest in the issue. Sometimes, this works in reverse, and our member companies bring ideas to us and ask us to convene others. We may never know exactly what practices are changed as a result of a member reading a report, participating in a workshop, or talking to a BSR expert; let alone the exact impact that new practices we helped shape might have. But we can be proud that we do our best to magnify our impact across 250 of the world’s largest and most influential companies as we all work to create a more just and sustainable world. We spoke with French insurance company AXA's chief corporate responsibility officer about how the company is applying its risk-analysis and trends-forecasting expertise to empower people to live better lives.